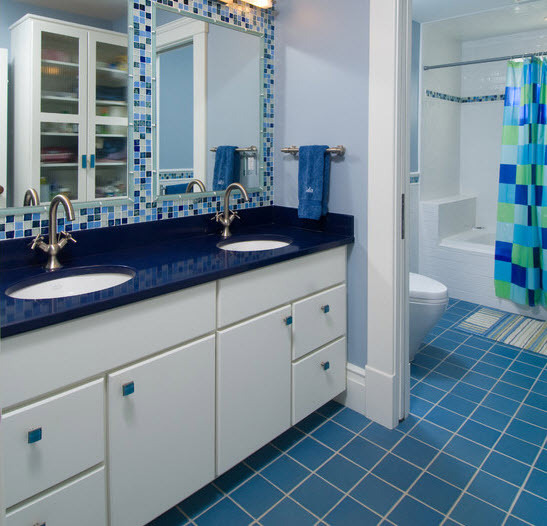 If, thinking about remodeling of your bathroom, you have chosen to use large blue bathroom tiles you made the right choice for two reasons. 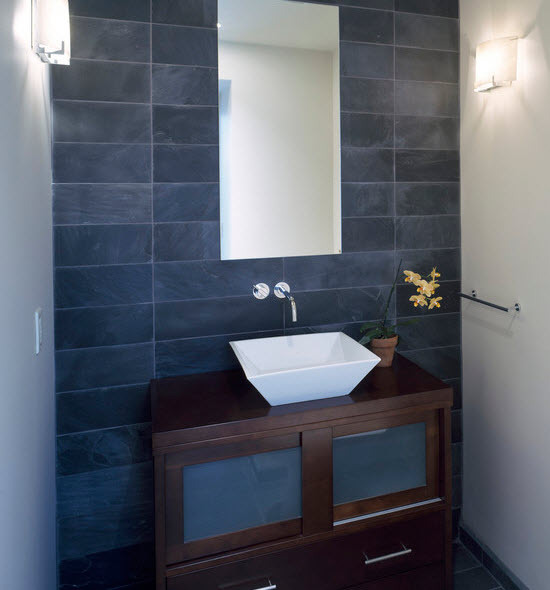 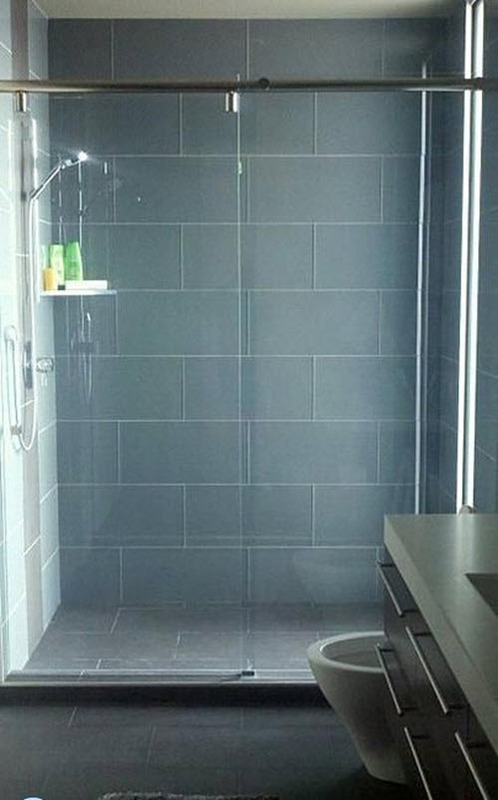 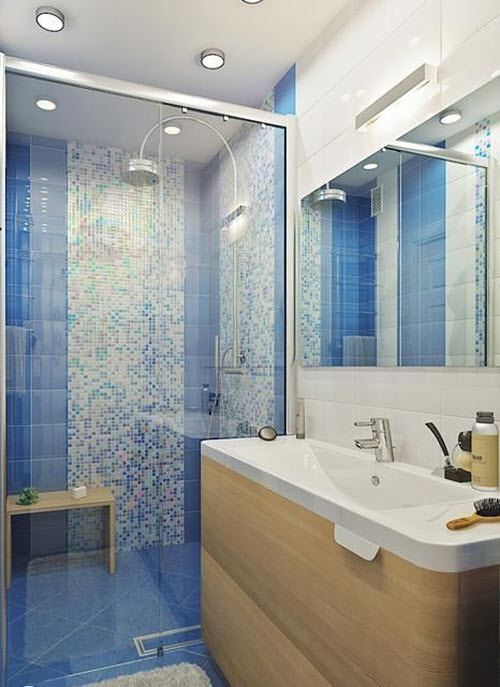 First of all, big size of the tile will look advantageous in bathrooms of almost any size, layout and style. 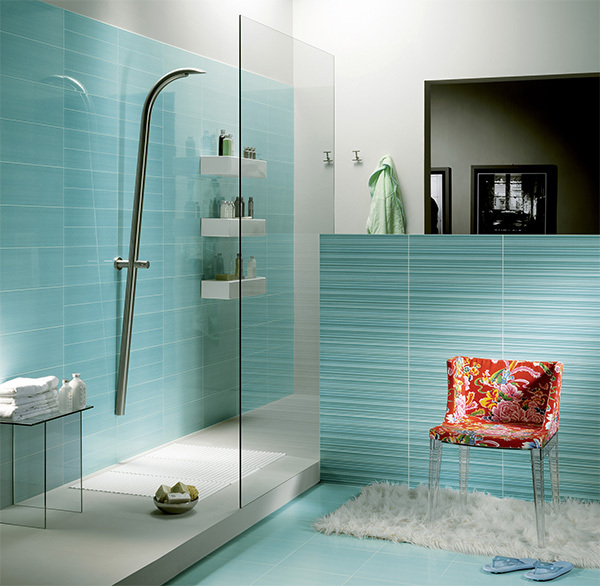 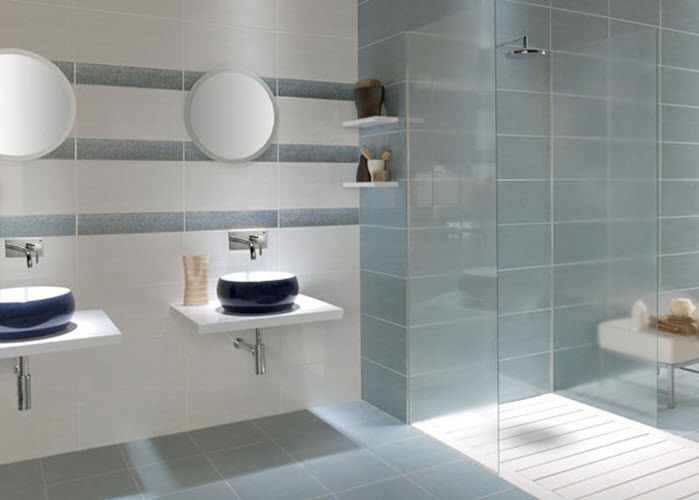 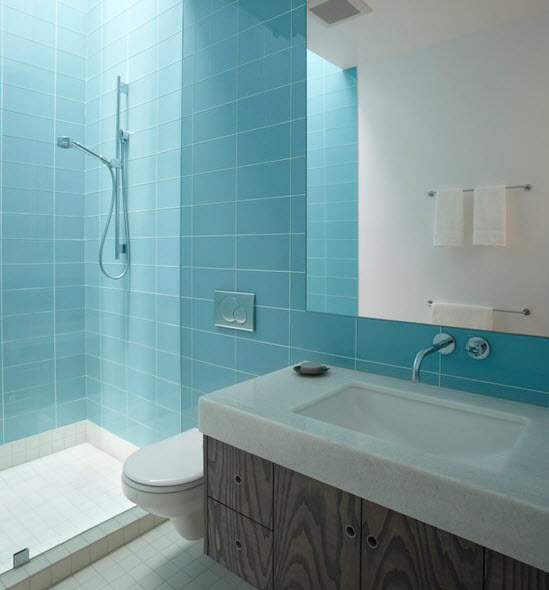 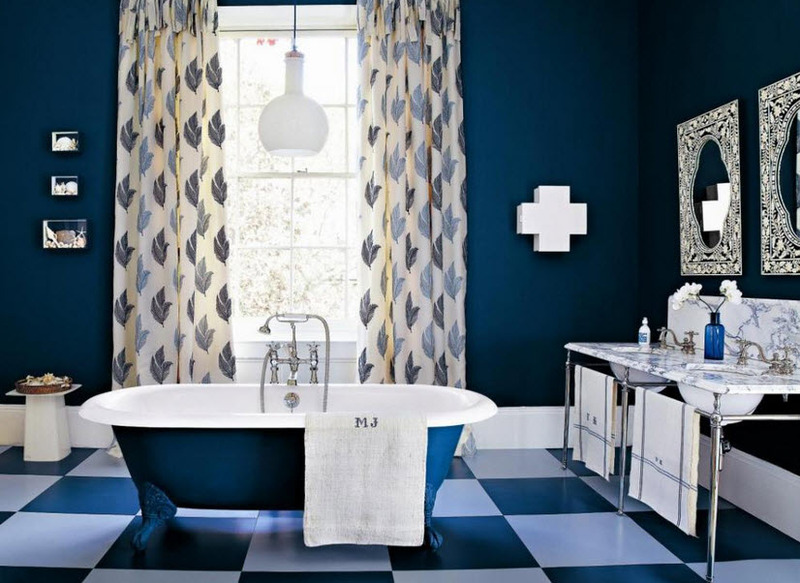 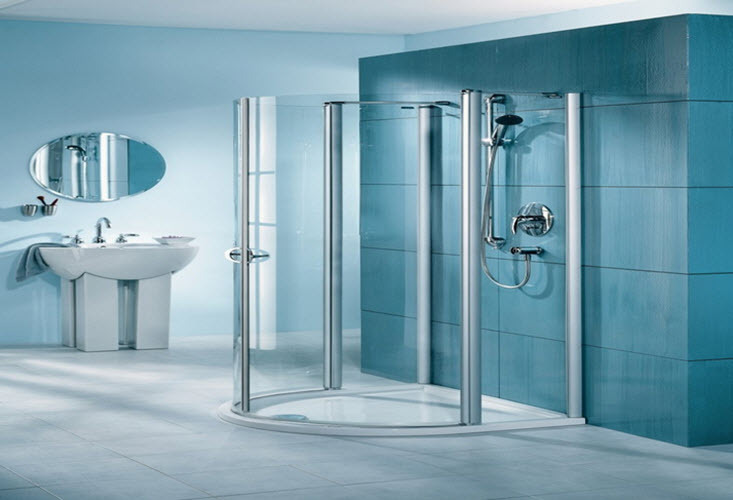 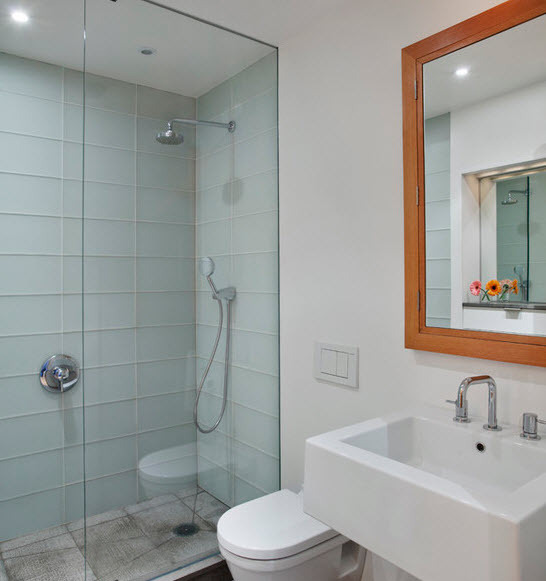 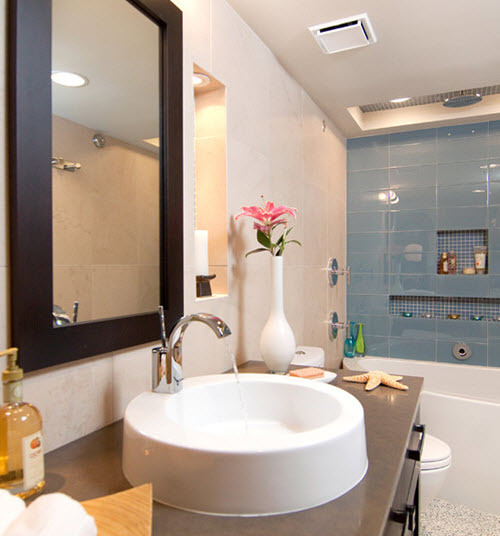 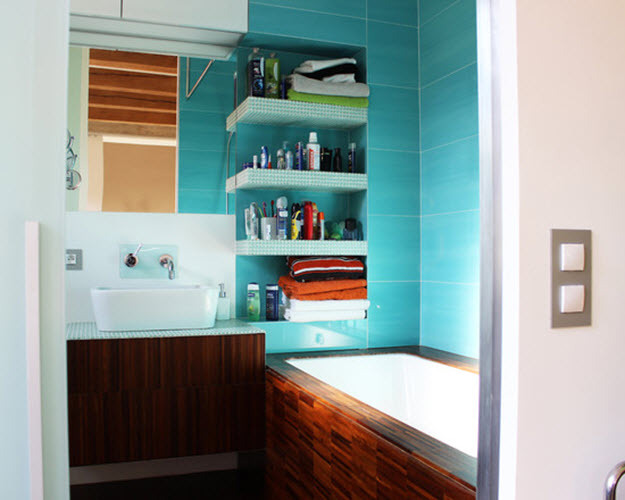 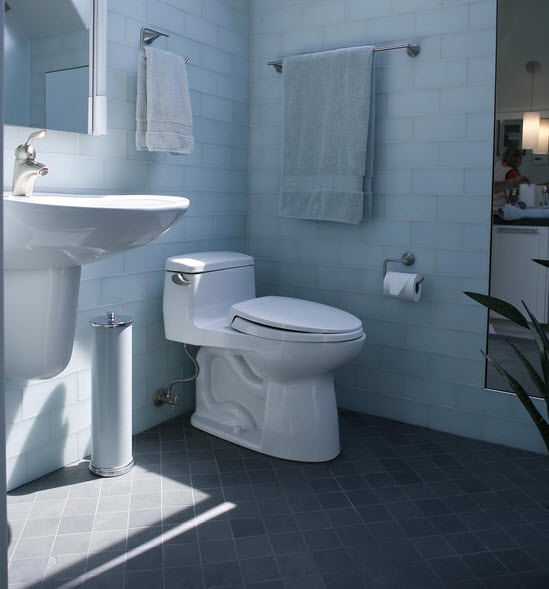 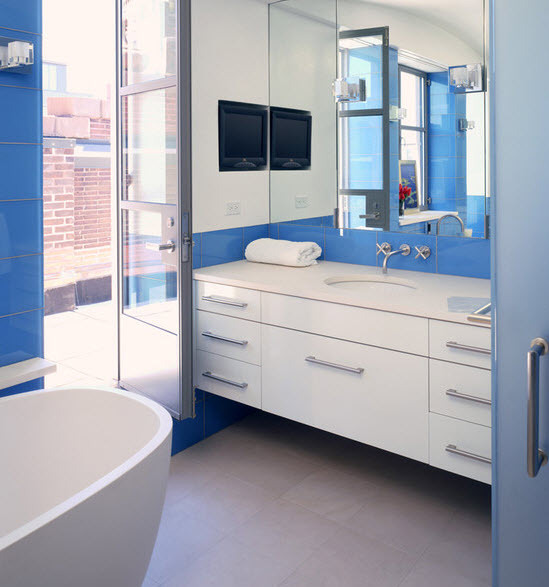 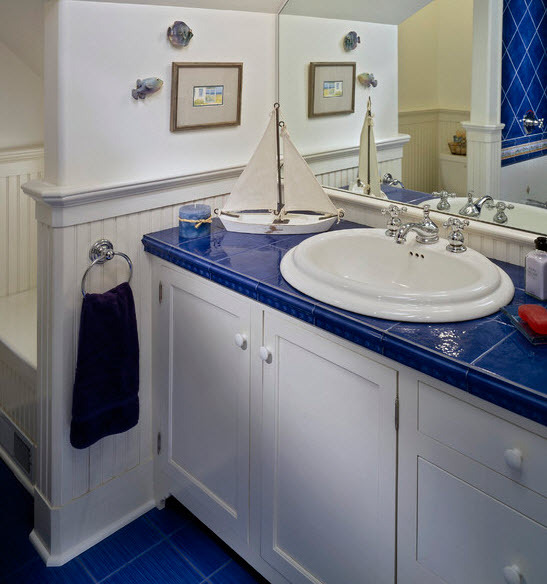 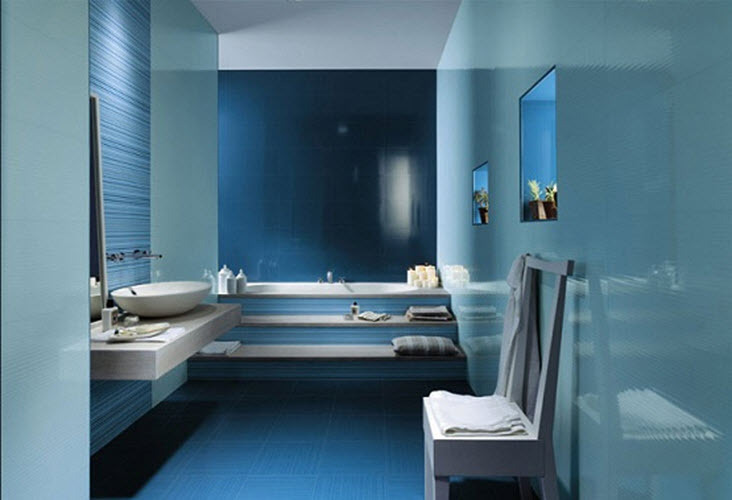 Secondly, blue color is one of the most popular for bathroom as it is strongly associated with water. 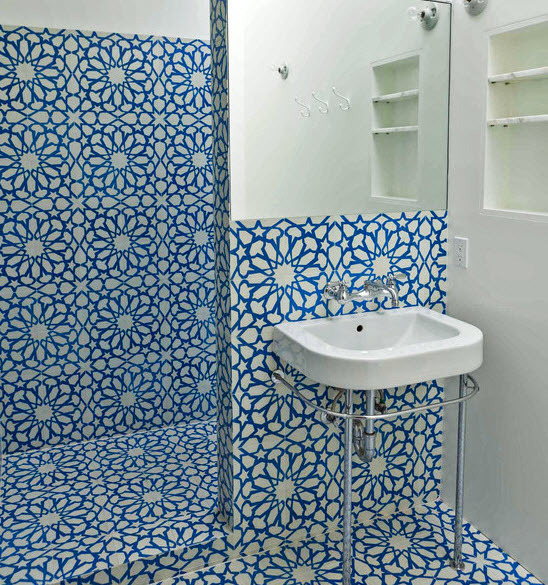 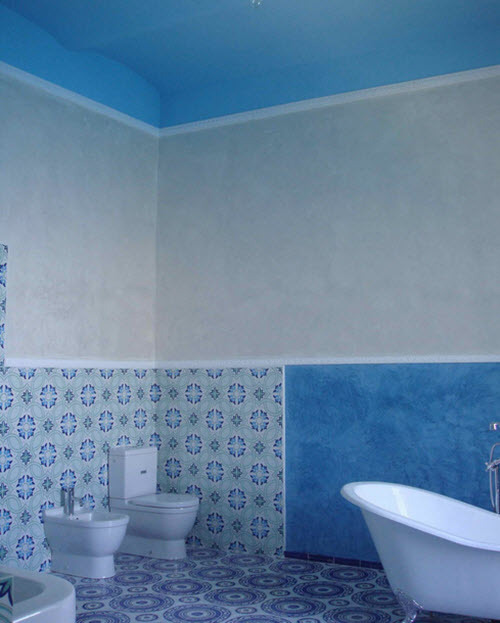 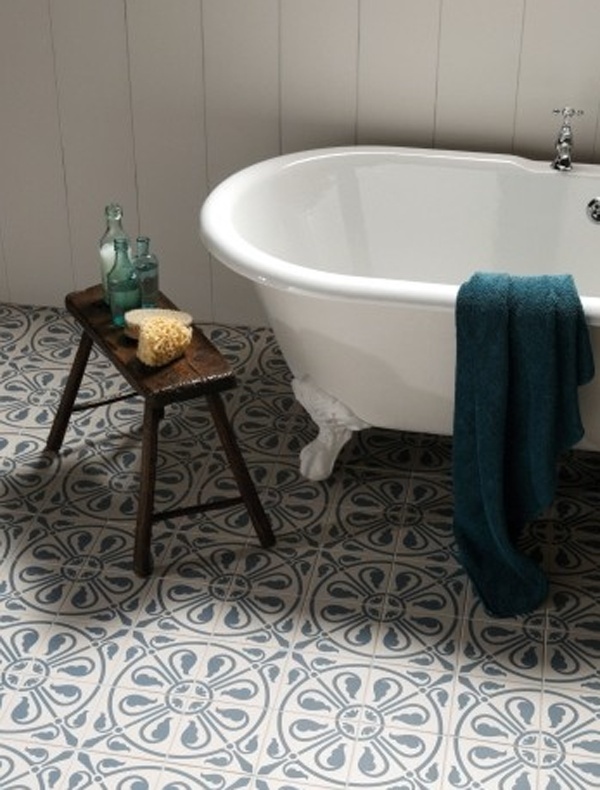 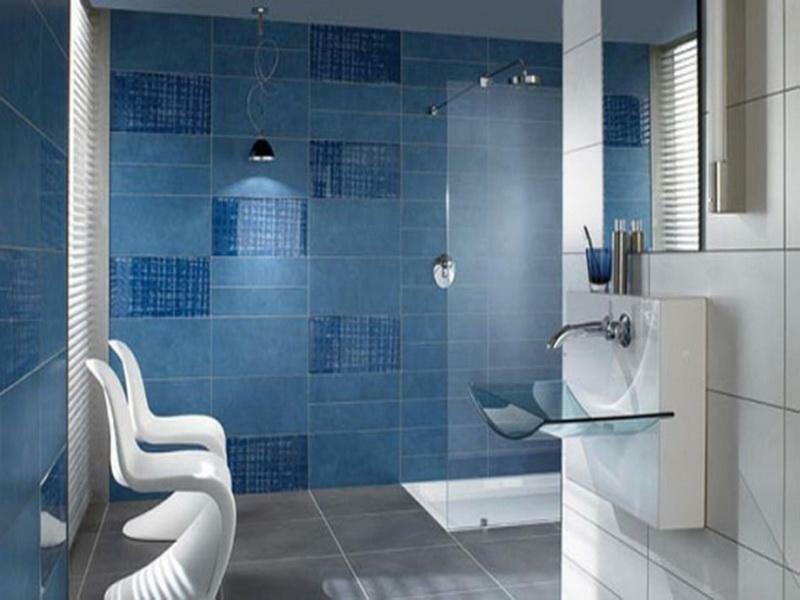 But large tiles can be different in shape, design and shades of blue. 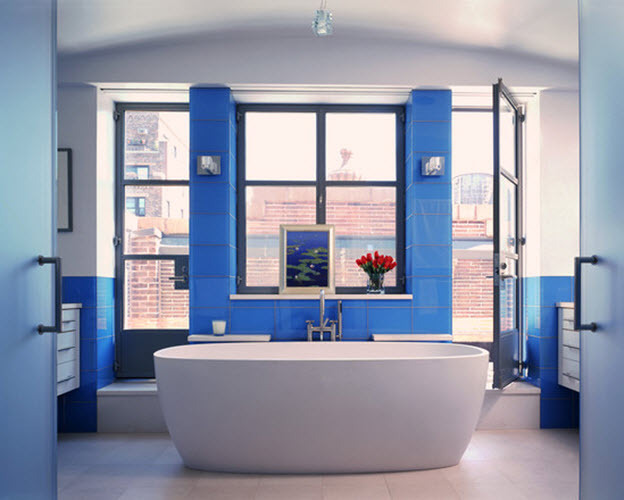 Undoubtedly, it must fit the whole atmosphere of the space and the final style of the interior you want to see as a result. 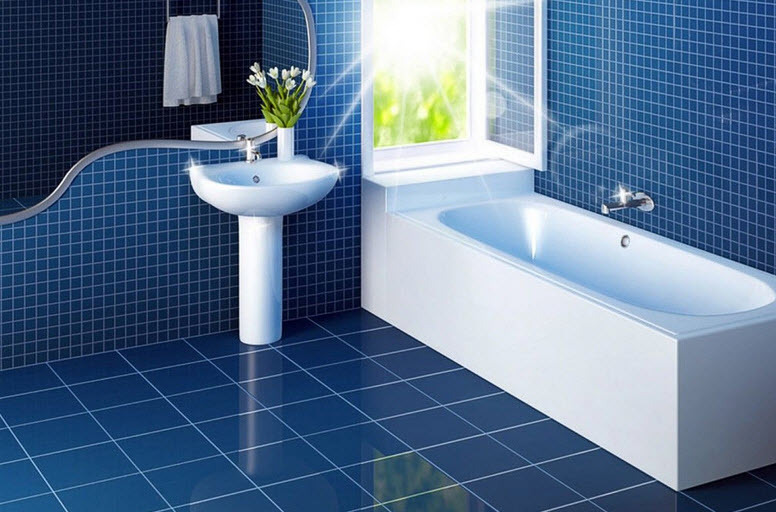 Darker shades of blue are usually used for the floor of spacious bathrooms and are often have square or rectangular shape. 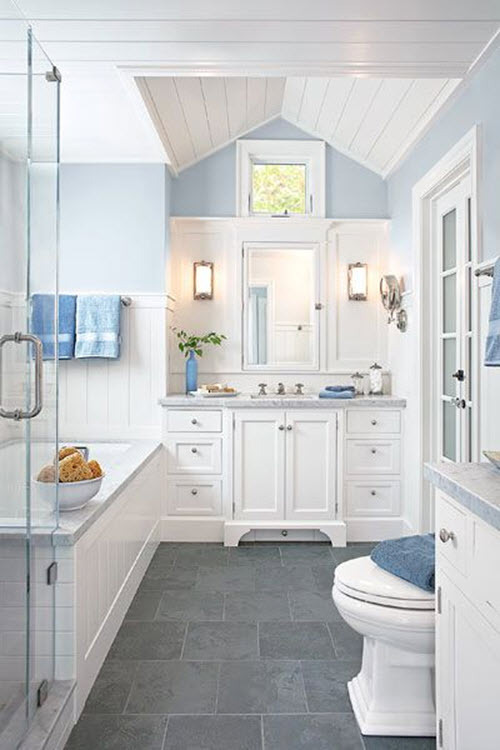 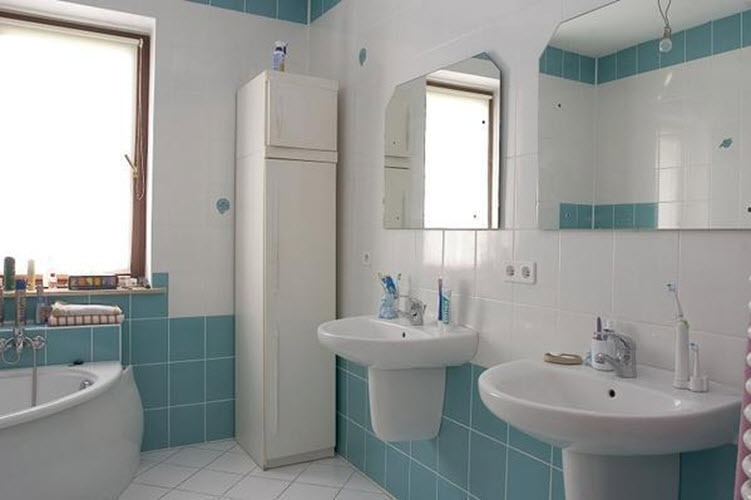 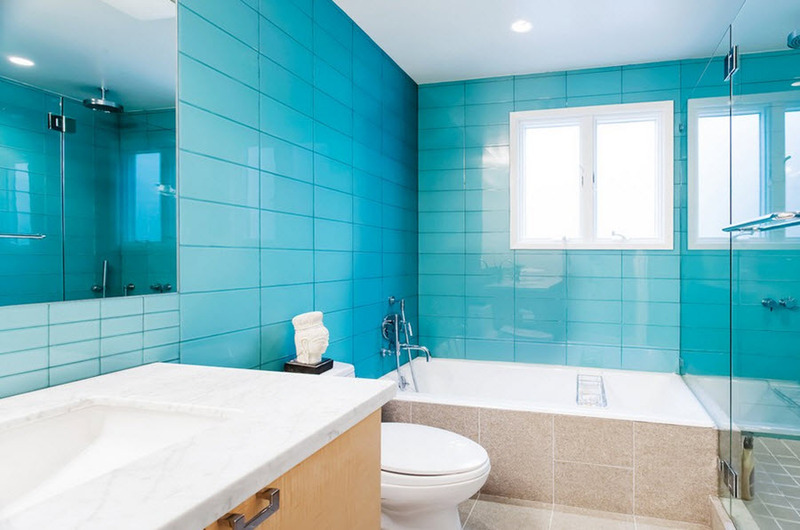 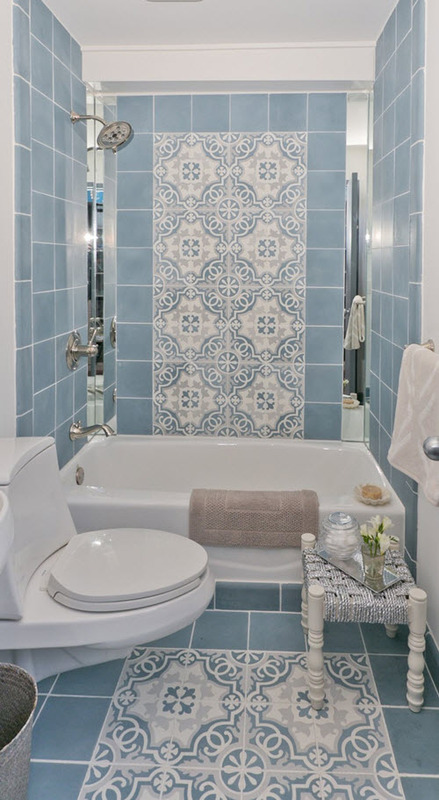 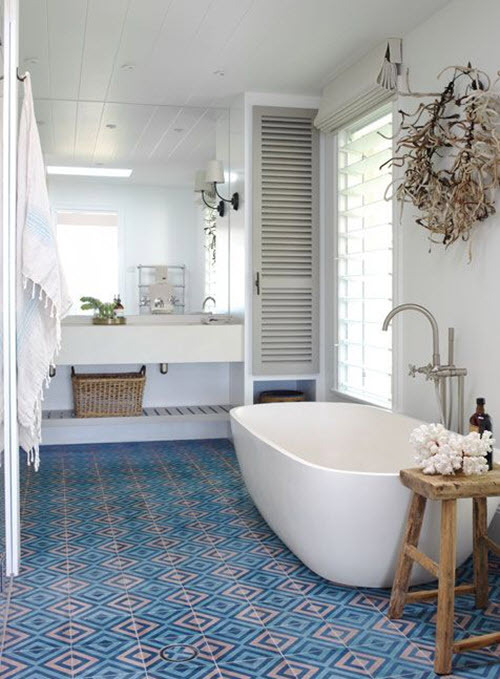 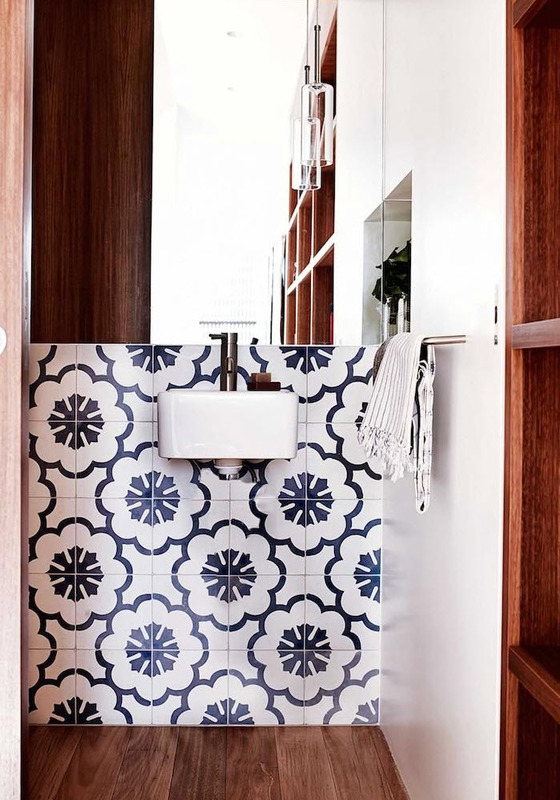 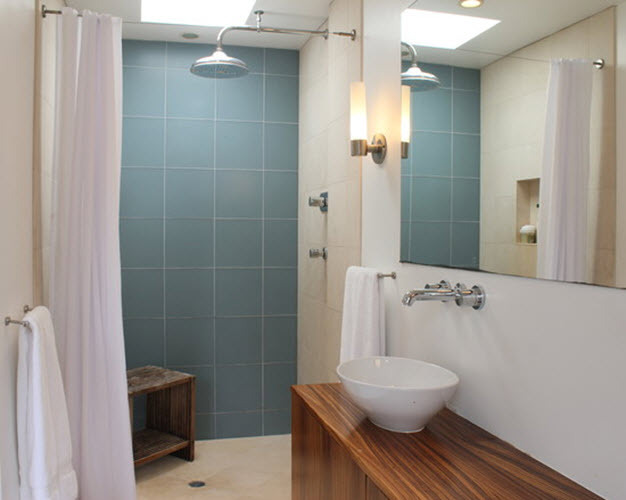 Large tile of lighter shades of blue will help you make the bathroom seem bigger. 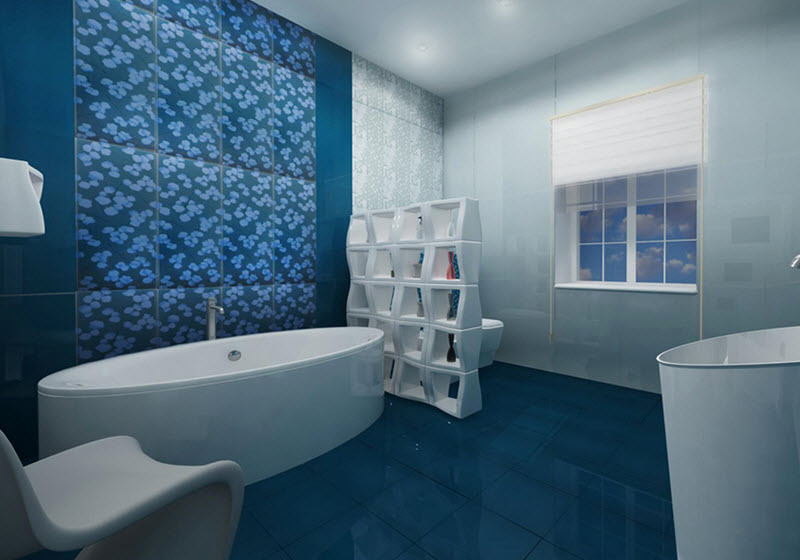 While big hexagon blue tile is the option for the bravest and those who like to amaze and experiment. 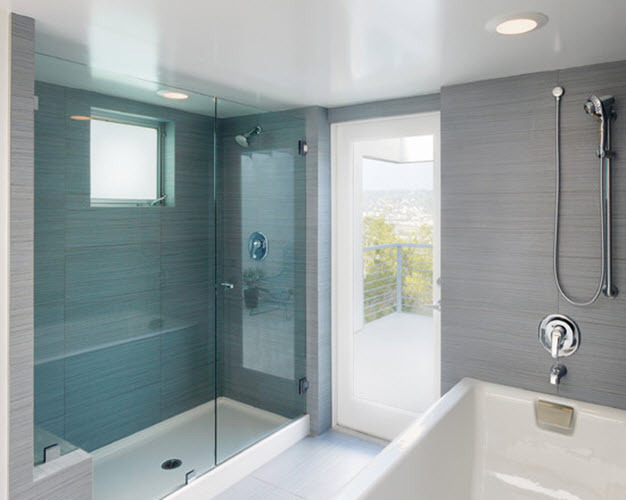 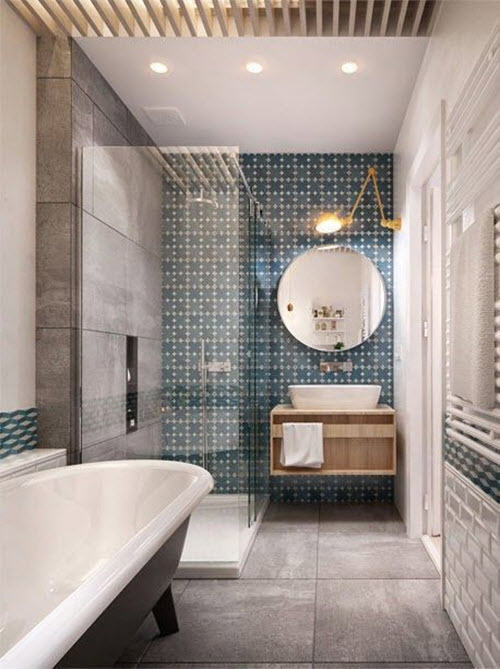 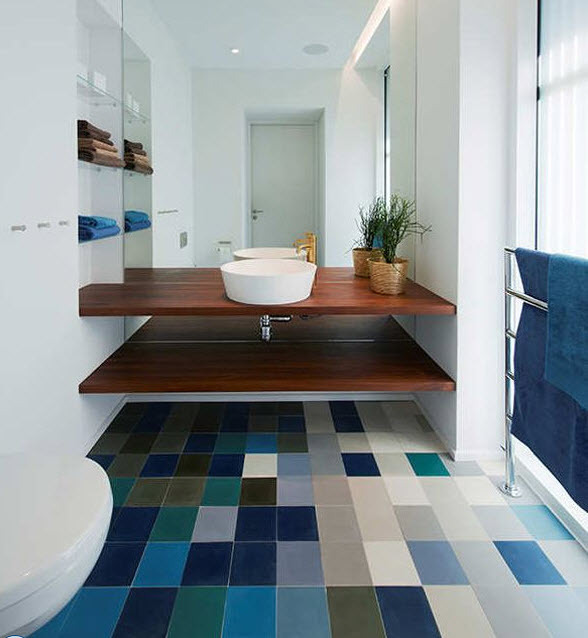 Our gallery below will show you that there are many possibilities to use big blue tile in your bathroom. 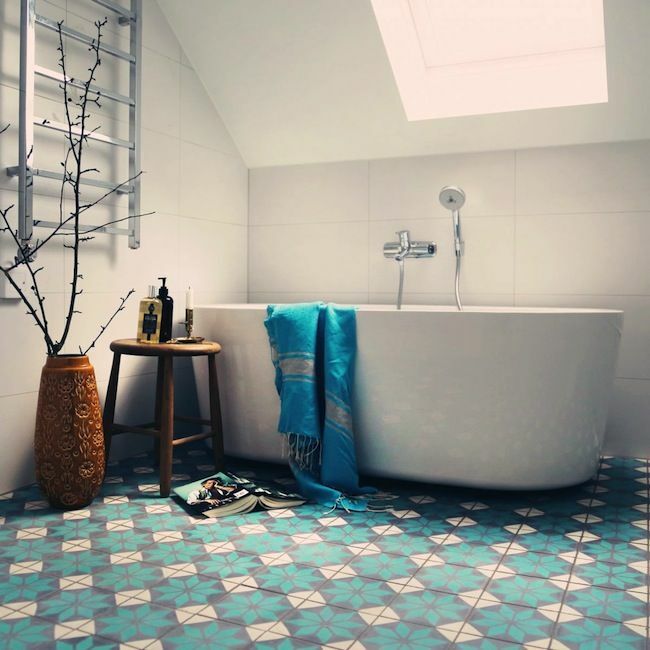 Look through these ideas to grab some inspiration and motivation.